You know I love dressing up my door of the holidays and Easter is the last obvious holiday for months until…4th of July? I’ll take advantage while I can. 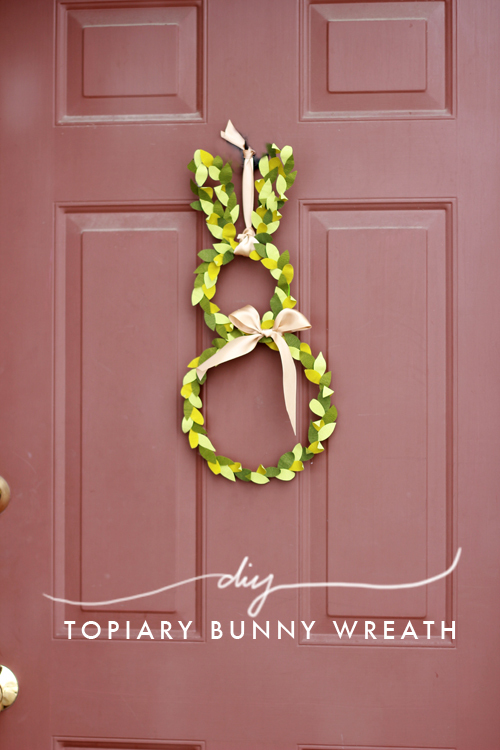 My mom sent me a picture of this bunny wreath from Simplicity in the South and I knew I had to recreate it with paper for my door. Isn’t it a cute little hopper? I loved her idea. I used a similar process as the one I did for Valentine’s day and for the wedding topiaries. 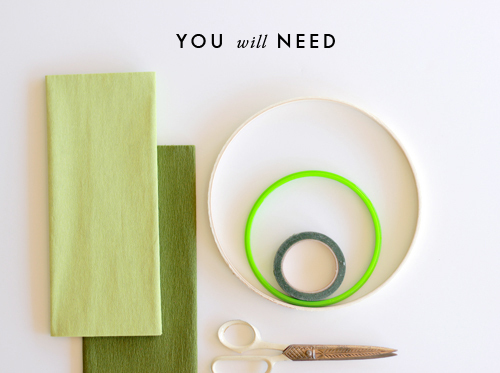 Step 1: Attach the two hoops together with floral tape. 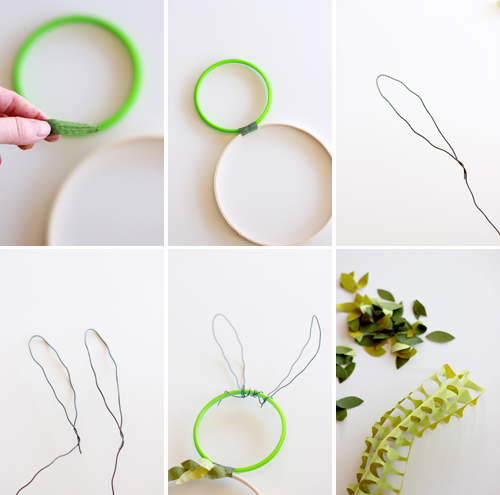 Step 2: Make 2 “bunny ears” out of wire leaving about 4 inches on one end to wrap around the hoop. 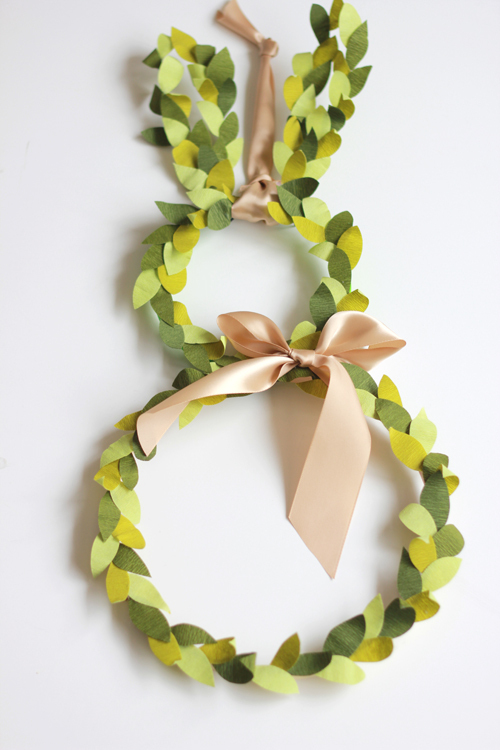 Step 3: Wrap the bunny ears around the smaller hoop at the top. 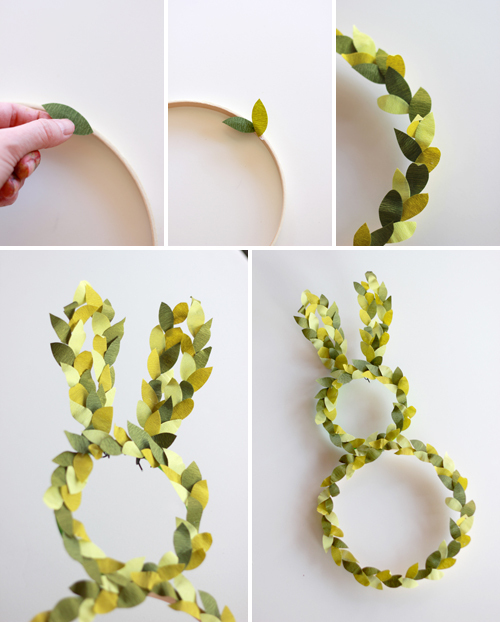 Step 4: Make leaves. I cut 3 at a time by folding the paper accordion style. My leaves are about 1: tall and 1/2″ wide. 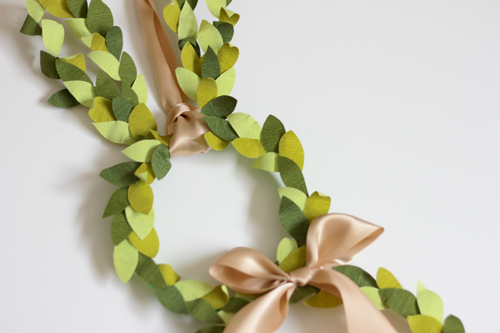 Step 5: Layer the leaves on top of each other going around the hoops. Step 6: Finish it off with a ribbon if you like.